For a contemporary, yet incredibly practical bath screen solution, consider the Sculpted Bath Screen. With a unique sculpted design, the Sculpted Bath Screen will improve the functionality and design of any bath enclosure. Featuring a maximum height of 1400mm and a width of 860-885mm, the Sculpted Bath Screen is suitable for most bathrooms. 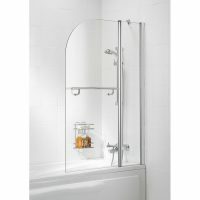 The glass panels are fully reversible and are designed to offer an easy fit. The bath screen is framed in a solid polished silver finish that adds beauty and charm to what is already an already attractive design. The quality of the Sculpted Bath Screen is top notch. It is manufactured using high grade 6mm toughened safety glass. Furthermore, the glass panel also includes an AllClear coating for free. 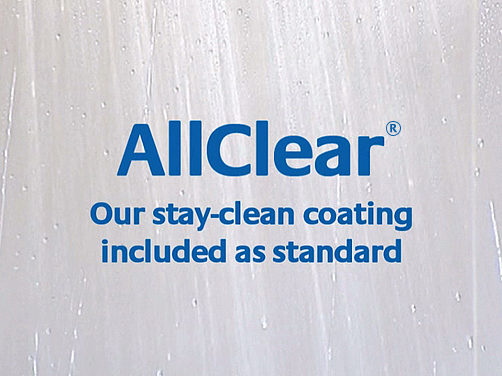 AllClear is a unique eco-friendly coating that protects glass from soap scum and grim. This quality product is manufactured by Lakes Bathrooms and is covered by an unparalleled lifetime guarantee. So, what are you waiting for? Replace your old bath screen with the contemporary Sculpted Bath Screen. This product is currently available at Ross’s Discount Home Centre at the lowest price online. Moreover, we also offer a 14-day money back guarantee on this item. 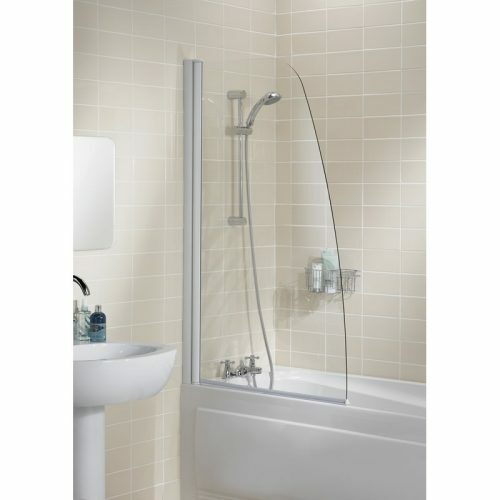 So buy this bath screen online today!